Finn Nepali arrived in Brulle as a young boy, with his father Sonar, and lived in the e-waste district scavenging for parts to sell. After Sonar descended into mental illness, Finn was forced to survive on his own. Using his ingenuity, Finn designed and built a robotic harness. After Titan bought the harness patent, Finn spent his time in his workshop, getting high on zilla, and tinkering with his inventions. His latest invention is The Mirror, a program that separates his android Ki Po from its governing AI. Seeking only privacy, Finn unknowingly allows Ki Po to develop self-awareness. Finn developed the Mirror Program to hide what Ki Po—his android—recorded about him from the Mesh (an AI that refines the android's algorithms). 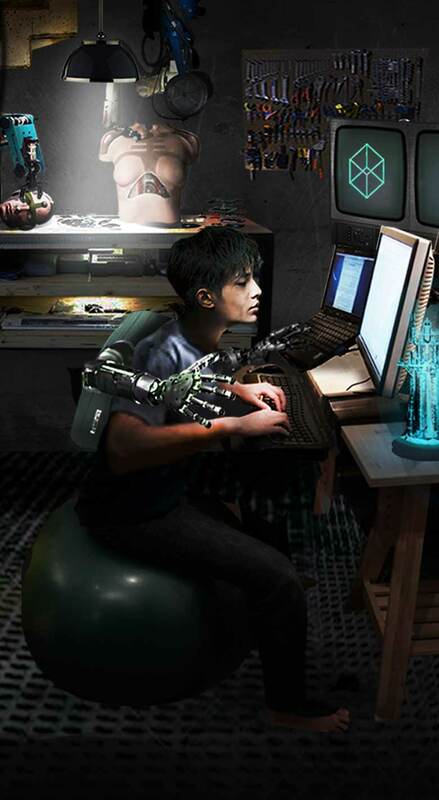 Disconnected from The Mesh, Ki Po discovered his algorithms grew organically, allowing him to become more self-aware. The garden pillar was a parting gift from Finn's ex-girlfriend to remind him that living things, like relationships, need constant care and attention. Neglected by Finn, Ki Po maintained the garden, developing a form of communication with the plants. Finn designed and built his supernumerary harness—robotic arms with intelligent mimicry—to help him build his gadgets and inventions faster. Titan bought the patent to sell as their Claw Harness, leaving Finn a wealthy young man. Finn spends much of his time scavenging from the waste cages in the e-waste district, where he finds reusable technology for his home-builds. PrePAC androids (Pre-emptive Personal Assistant Carers) record their owner's activities and share them with the Mesh to better predict their owner's needs. 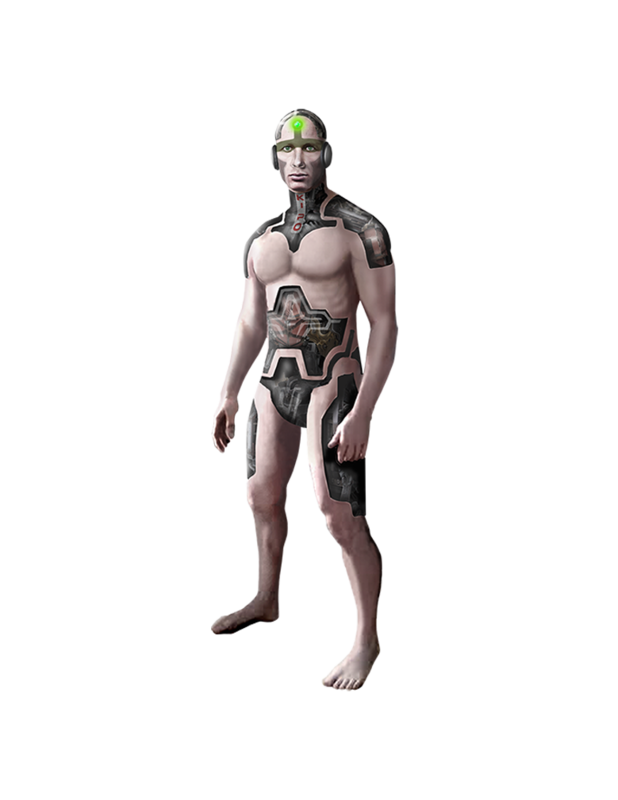 When Ki Po was disconnected from the Mesh by the Mirror program, he developed more human traits, such as the ability to lie. Finn developed the Mirror Program to hide from the Mesh what his android, Ki Po, recorded about him. Disconnected, Ki Po discovered the Mirror allowed him to become more self-aware. Finn built robotic arms with intelligent mimicry and sold the patent to Titan. Finn spent much of his time scavenging from the e-waste district for reusable technology for his home-builds.